As you may know, a lot of my choices of what to cook are dictated by my desire to try new things, to understand the characteristics of individual ingredients and the techniques used to coax the most flavor out of them. Recently, I’ve been keen to try my hand at cheesemaking. My aunt’s sister Jan makes homemade mozzarella cheese and, assuring me that it is easy, sent me back to Thailand armed with baggies of citric acid and cheese salt (I swear, customs officer, that white powder is not what it looks like!) and some tablets of rennet. Yesterday, I invited Ken over to help me. An American retiree, Ken has this dream of starting a goat farm up in Lampang province near Chiang Mai. He’s convinced there is an untapped market for chèvre. 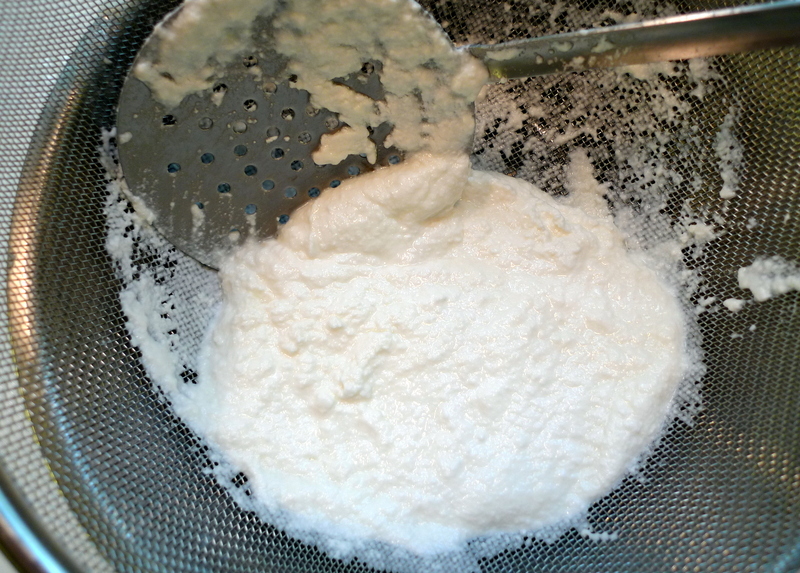 Jan recommended a recipe for 30-minute mozzarella from cheesemaking.com. It is pretty straight-forward, except for the fact that I don’t have a microwave at home. They had an alternate recipe for those of us without microwaves, so I was pretty eager to give it a try. The big question mark that was facing me: could I make the cheese from the milk we have here in Thailand? The recipe’s author insists you can use store bought pasteurized milk, so long it is not UHT (“ultra high temperature”) pasteurized, as this destroys the milk’s ability to curdle properly. But inspecting the labels of milk here in Thailand, there is no information about what type of pasteurization process is used, only that the milk is in fact pasteurized. Figuring I could afford a few dollars and an hour of time to experiment, I started with four litres (two gallons) of Foremost brand milk. The process is pretty easy: you heat the gallon of milk combined with 1.5 teaspoons of citric acid diluted in a small amount of water. Once it gets to 90 F you add a quarter tablet of rennet which has also been diluted in some water. 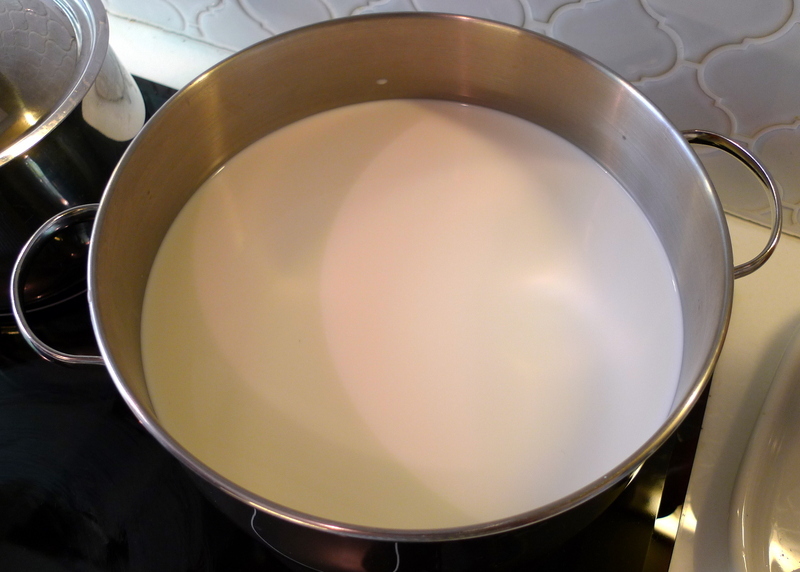 Thirty seconds of stirring to distribute the rennet evenly, then you cover and let the milk sit undisturbed for five minutes. By this time, what you are supposed to have is the curd (milk solids) separating from the whey (liquid) in a pretty solid, tofu-like substance. Unfortunately, even after trying some of the suggested remedies, my curds never came together any more than runny cottage cheese. I went ahead and scooped them out to drain, but most of them just ran through the colander. There wasn’t anything solid enough to handle. Conclusion? Either I didn’t use enough rennet (although I did follow the recipe) or, more likely, the milk is UHT pasteurized. Options: Try again with another brand of milk, give up, or be thankful that a smart Thai-German friend left a comment on my facebook page asking if I’d considered buying buffalo milk from Murrah Dairy, a local outfit that specialized in a breed of milking buffaloes from India. What luck! They have a small cafe/retail outlet out near the airport, even though their farm is about a two hour drive east of the city. Tawn and I drove out there Sunday afternoon and located the shop in the midst of an old housing estate. 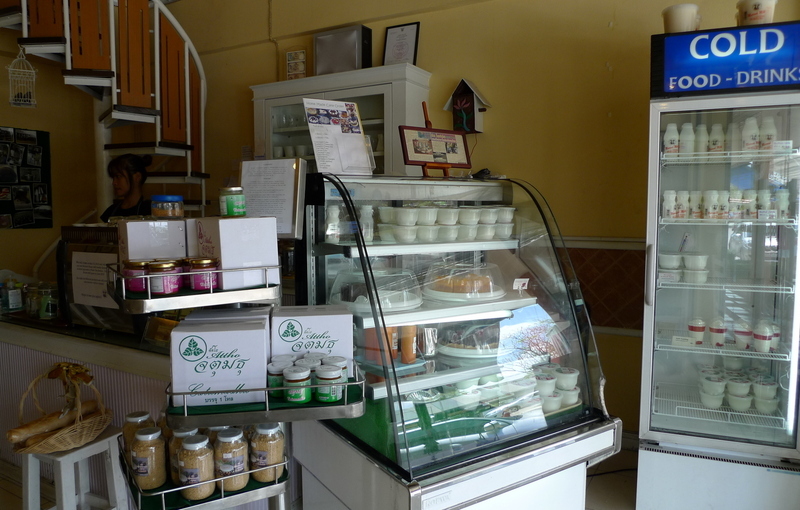 Murrah Cafe and Bistro: The first buffalo farm in Thailand. 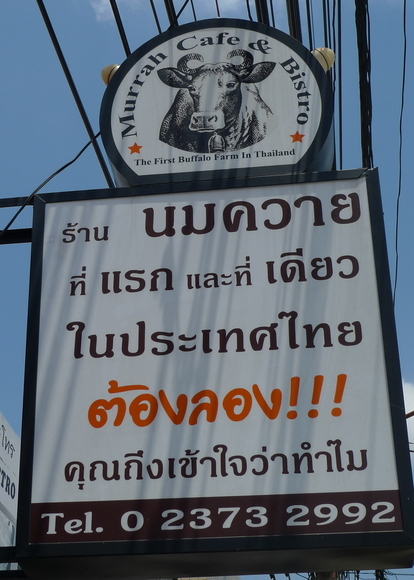 In Thai, it reads “The cheese restaurant that is the first and only in the country. You must stop by then you’ll know why.” Yeah, it doesn’t sound as compelling when you read it in English. Talking with the owner’s daughter, it looks like although they don’t regularly open the farms for visitors, we could call and arrange a tour. She agreed that my problem with making the cheese was probably related to the pasteurization. As it turns out, they sell raw buffalo milk so I placed an order for 5 litres to pick up this Tuesday afternoon. The cafe is cute but tiny. Lots of cheese and milk for sale and all of their espresso drinks are made with buffalo milk. Here’s the best thing about buffalo milk: 18% fat versus 4% for regular Jersey cow milk. Yum! 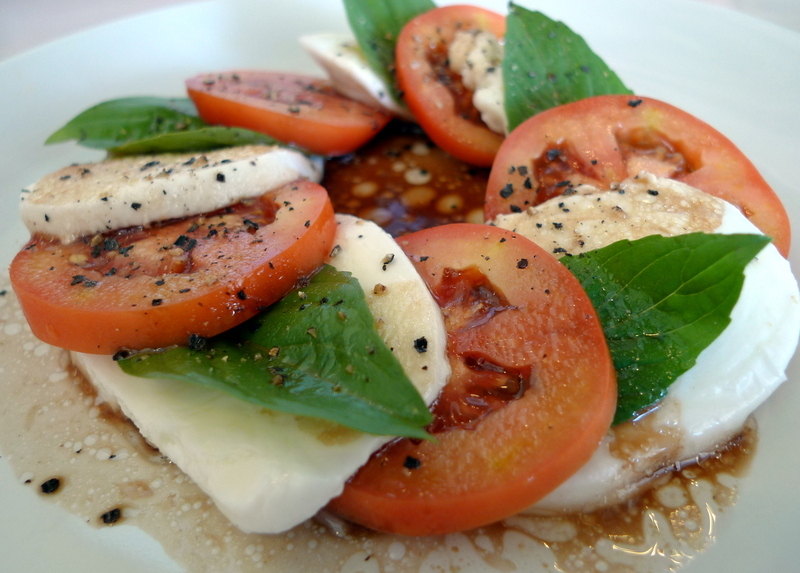 What better way to really experience their excellent fresh mozzarella than on a caprese salad? Except for the fact that Thailand’s tomatoes are chronically anemic, it was wonderful. 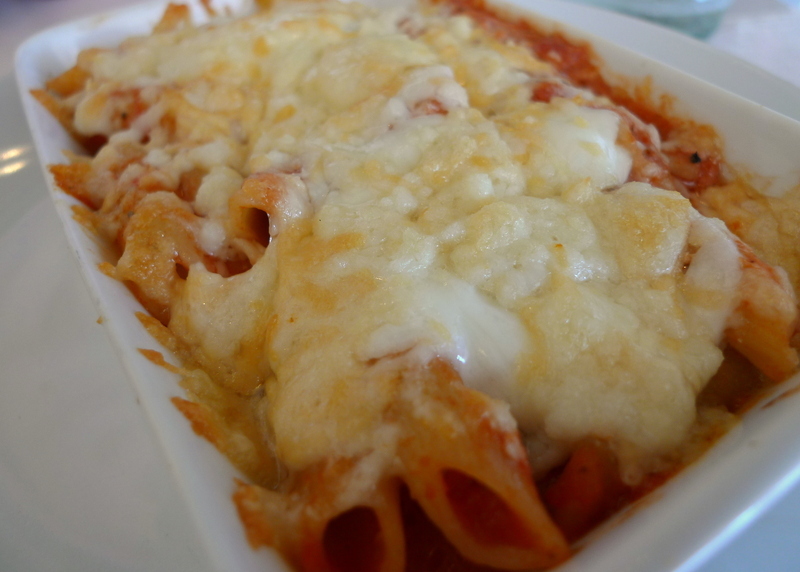 Baked ziti in tomato sauce with… you guessed it – Mozzarella cheese! 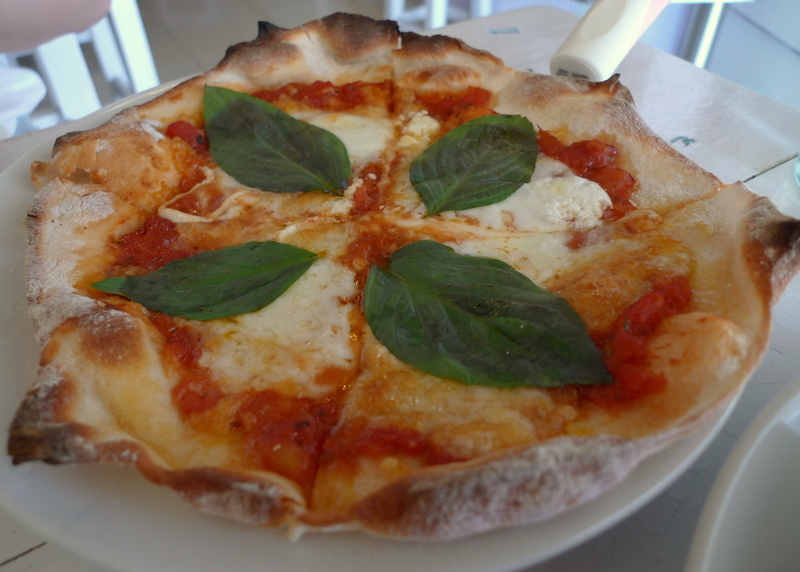 And, finally, an excellent thin-crust Pizza Margherita. This was a small pizza and had a nicely charred, crisp-edged crust. Just like the real deal in Italy. This entry was posted in Uncategorized and tagged Cheese, Cheesemaking, cooking, food, Murrah Dairy, Thailand by christao408. Bookmark the permalink. Good luck with your Tuesday attempt. hmm… i wonder if you should use cheesecloth instead of a strainer, since it is finer (if you double or triple layer it) and wouldn’t let so much of the curds through? The first looked like ricotta… Their cafe food looked wonderful. Isn’t authentic mozzarella made from buffalo milk? You had me at coffee drinks! Does buffalo milk taste much different than cow milk? Are tomatoes grown locally? I figured with all the heat and sun, it should be amazing. I look forward to reading your next attempt at making cheese. love the photo’s, food looks yummy too! Impressive. Here’s to an even more successful outcome with the raw milk. Aw too bad. Better luck next time then! @ElusiveWords – Plenty of tomatoes grown locally, Matt. The problem is there is some sort of fungus in the soil that kills the breeds such as the beefsteak tomatoes that make summer in the US so great. When I first moved here I tried growing some seeds from the US and ended up with them dying when the plants were a foot high and starting to put out some little fruits. From what I’ve read on an online expat forum, only one guy up in the Northeast of Thailand has managed to get beefsteaks to grow here. @brooklyn2028 – Proof that I have too much free time on my hands, I guess, that I would even think of attempting such a thing! @CurryPuffy – Old airport, out at Ramkamhaeng 112 and the outer ring road. Not bad, traffic-wise, as we drove out Rama IX to the outer ring road and circled around. Tuesday afternoon might be a little worse. 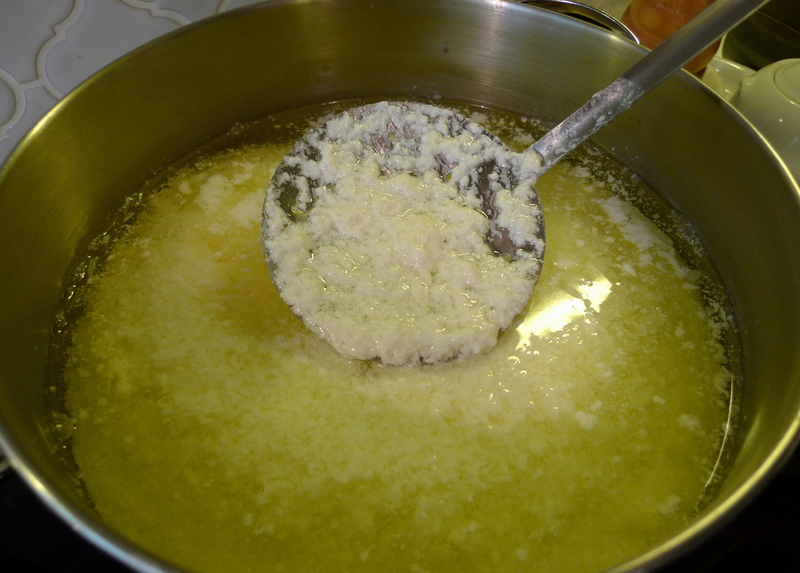 @kunhuo42 – Thought about that, Aaron, but based on the recipe and included photos the larger problem was that the curds weren’t forming solid, tofu-like blocks. Had they been larger blocks that got sliced by the wire mesh, then I would agree with that assessment. @TheCheshireGrins – Meg, I confess that I didn’t try the milk straight but will on Tuesday. With much higher milkfat, I suspect it is like drinking half-and half… but we’ll see. @Passionflwr86 – Yeah, it sounds strange but I appreciate the sentiment! @murisopsis – Exactly, Val. That’s the point Murrah Dairy is making: this is mozzarella as it is meant to be. I tell you, I’m about ready to open my own farm here, if it weren’t illegal for foreigners to be farmers. @Dezinerdreams – @Roadlesstaken – @Texana – Thanks and I’ll be sure to let you know how the next attempt turns out. @theramblingman – @WilldrawsRainbows – Yeah, the food was actually worth the drive. Glad you enjoyed the pics. We had buffalos at home and mother used to drive me crazy, asking me to drink the milk. Chris, i hope you didn’t throw that first attemted effort of curdled milk and whey. I noticed that your strainer had large pores. You need to get some cheese cloth and put the milk in it and let it hang from something. it takes some hours, and all the liquid drains out, leaving a firm ball of curds. Next time, if you have something like this, make the curd and add a lttle sugar to it aong with some corn starch and make small ball or patties. Boil some regular milk with sugar and some safron or vanilla essence, cardomam powder and gently let these paties or curd balls float in them. They are excellent and the dish is called “Ras malai”. Great dessert when cooled. Oh… I see. Perhaps you can grown them via hydroponics growers? I think there are some for balconies but I’m not really sure. @ZSA_MD – Thanks for the suggestion, Zakiah. I considered keeping the curds and making a spread or something out of them but was so focused on the mozzarella that I didn’t act on the idea. @ElusiveWords – That’s an interesting suggestion, Matt. Hmmm… making my own hydroponic grower. Might be another bloggable event! I love Caprese salad, I make it all summer.I think I will try to make Mozzerella , I can get raw cow’s milk from the neighbor. Best wishes for the next batch! heyi got a cool idea for ya!! msg me on msn when you have the time. That whole story is just fabulous. Good luck Tuesday. My god…are you eventually going to move to making your own salt, flour, and butter? @amygwen – Thanks, we’ll see how it goes. @yang1815 – Looks like I could have tried a little harder to make it work. @Wangium – Jason, I would totally grow and grind my own wheat if I could. Butter? Get me a churn! Salt? Probably too much work. @yang1815 – Well, further feedback seems to suggest that the ingredient isn’t the issue. I probably should have used a bit more rennet. Good luck to your next mozarella cheese-making adventure!!! @icapillas – It actually turned out okay – kind of. I need to finish editing the video and post it. Will try to do that before week’s end.